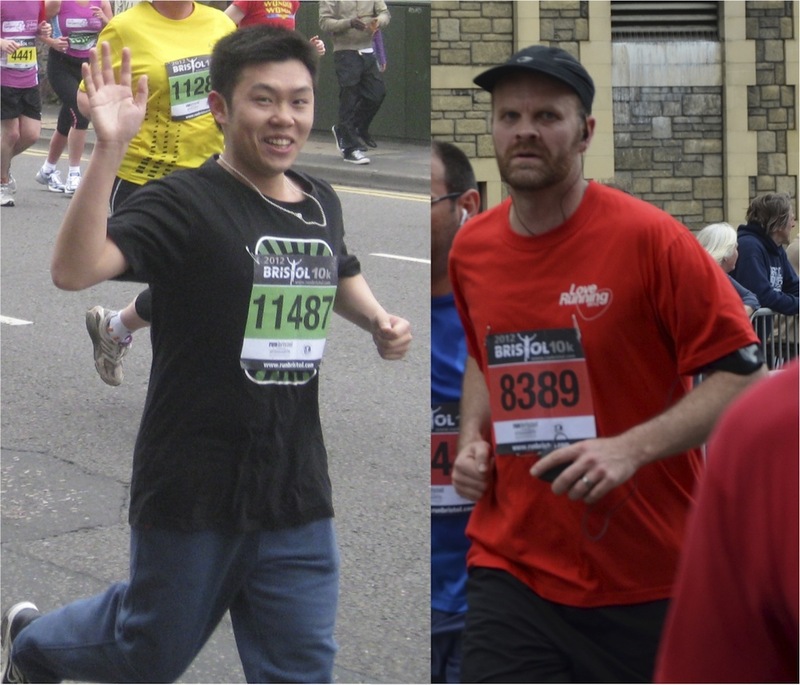 Carl and Charl ran the Bristol 10k race on Sunday, the 20th of May. They both finished the race under 1h! Here a photo of the two of them – Charl is looking tired and angry, Carl is looking happy and full of energy! A paper was very recently published from a collaboration with bone biologists and clinicians from Bristol Southmead Hospital’s Avon Orthopaedic Centre. Authors on the paper were Judith Brown (previous PhD student from the Faul Research Group), Jon Knapp (who did his undergraduate research project on this topic), and Charl. 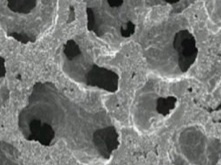 The paper discusses a newly developed method for the functionalisation of Ti (implant) surfaces for enhanced bone cell growth, a new area of activity for the Faul Research Group. Congrats to Judith, Jon, and the other authors. See the full paper in the open access journal eCells & Materials here. In the last lecture of Charl’s lecture, he spoke at at the Beijing Institute of Technology’s School of Materials and Engineering (hosted by professors Zhong and Zou), on Wednesday the 16th of May. 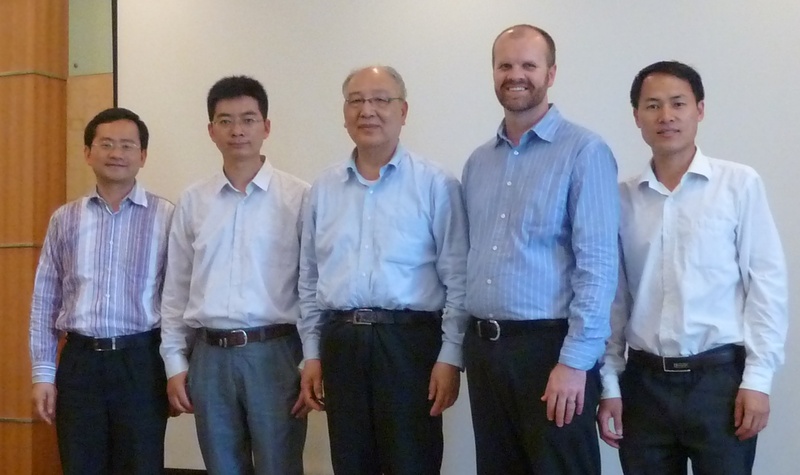 As this was Charl’s last day in China, it was the perfect end to a very successful and fruitful stay! 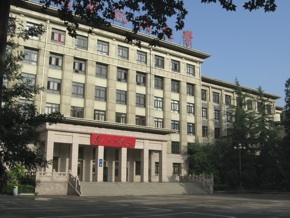 Charl’s penultimate presentation of his extended lecture tour of China was giving at the Key Laboratory of Functional Polymers at Nankai University, Tianjin, on Monday the 14th of May. Prof Ying Guan was the perfect host! Here he is talking about Bristol during his presentation. 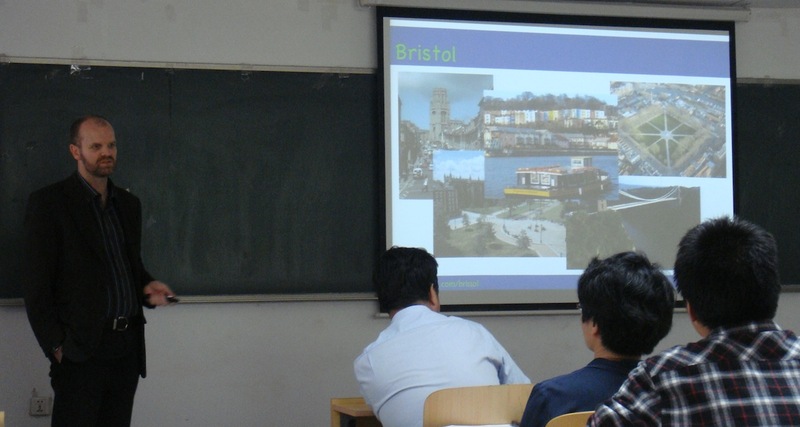 More details about the University of Bristol on the chinese website Weibo. 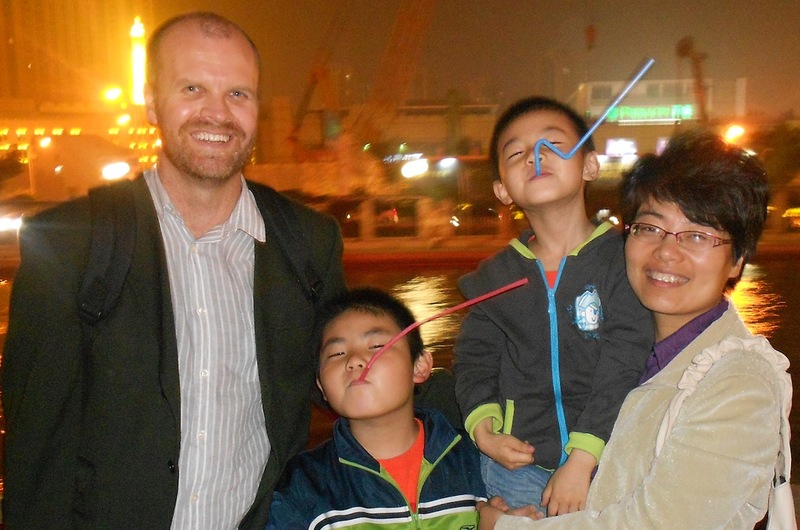 Charl also enjoyed a lovely boat trip in Tianjin with husband-and-wife team professors Guan and Zhang, and their children Michael and Max! Charl, with a student from Shanghai Jiao Tong University, ascended into the clouds over Shanghai, and enjoyed the city from a slightly different (and rather alarming!) perspective … from 250m up! Charl also took the opportunity to give a talk at the University of Shanghai Science and Technology on Wednesday the 9th of May, invited by Dr. Yaozu Liao. Yaozu spent two years in prof Ric Kaner’s labs at UCLA (where Charl recently visited). 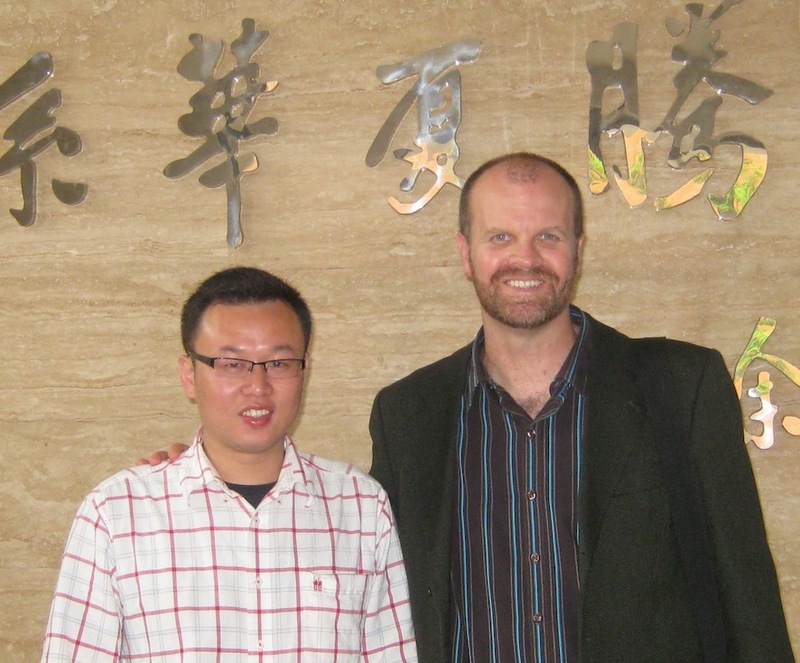 Zhixiang and Charl enjoyed a very interesting visit and scientific discussions at Shanghai Jiao Tong University, hosted by prof Yongfeng Zhou. Here a photo with Prof Xinyuan Zhu, Zhixiang, Academician Prof Yan, Charl and Yongfeng, after scientific presentations from Zhixiang and Charl, and just before a delicious lunch!